Timeless: The Forgotten Town is a hidden object/adventure game released not too long ago. The game possesses everything it takes for a game to be a good one. The game has a great story, challenging levels, and beautiful graphics to make it a really nice experience. 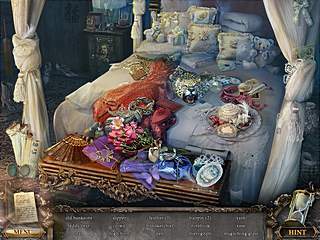 As to the gameplay, the game offers a great number of hidden object levels. The story is not told right away. You learn more and more about it as you begin to play. The events happen while you are on a train. Something weird happens and you become a part of a different story. You meet ghosts and learn their story. You are soon the one to help the lost souls. The graphics are absolutely gorgeous, and together with the voices and sounds they make a great presentation. You will have to go to many different locations and interact with different characters. 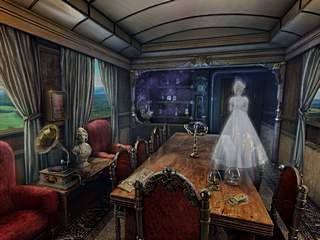 As to the gameplay, the game offers a great number of hidden object levels. Those are not every easy even if you choose the casual mode. Some items are hidden way too well. Those levels come in different forms and shapes. Sometimes you are to work with the silhouettes, and sometimes you will have to move some object in order to get to the ones that are on your list. There are also many mini-games that you get to play as you proceed in the story. Those are connected with the rest of the game and make a good break from the hidden object searches and the interactive part of the game. The game has it all and will be a great way to kill a few hours. This is Timeless: The Forgotten Town Collector's Edition review. Download this game here.